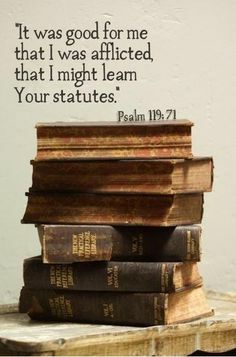 In a recent Bible study meeting this quote was brought up, and it inspired me to share it again. I cannot recommend Tim Keller’s book enough. It was very helpful for both of us. I am currently l.o.v.i.n.g. 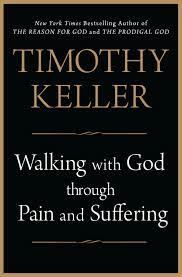 Tim Keller’s book, Walking with God through Pain and Suffering. […] I’m only in the middle of it, and I already have tons of quotes I’m just dying to share. Here’s one I read last night that really touched my heart. It addresses the question of “why” in trial. Reposted from November 12, 2013. If you’re looking for a book that will encourage you in your trial, here are three that I am personally considering at the moment. 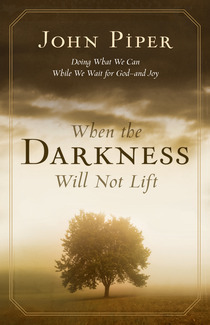 I’ve said before, I’m not personally interested in books about infertility for encouragement, because, to be honest, for me this trial has not really been about the infertility but rather about God’s work in my heart and life. Also, if it’s specifically about infertility, it’ll open the door for obsessing for me. 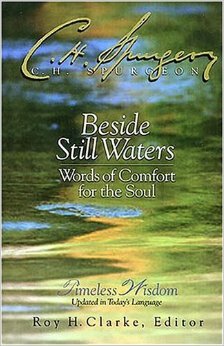 So I’m currently thinking about reading a book focusing on trials in general to teach and encourage me. If you have another recommendation, please share! My husband and I were super-excited about this brand-new book. We are huge fans of Tim Keller’s writing and preaching, because it is 100% biblical, it’s deep, and it’s relevant and practical every time. We are currently reading it, and I LOVE it! I highly recommend you buy it and start it now. I also suggest possibly skipping the first section and reading the last two sections first (Keller also recommends this in his Intro, as the second and third sections are written to people who are currently walking through trial). I was really thinking of writing a post just about how much I am appreciating this book, but I lumped the recommendation in with these others and will post later on some great quotes from it instead.